It’s a scenario we’ve all seen in Hollywood films. A family moves into a new home excited about the new possibilities it offers, perhaps delighted to have got it at what seemed an unusually low price. Then things begin to go wrong. The family can’t settle. Relationships deteriorate. Something about the new home just seems to give rise to problems. Could it be haunted? Can it happen to you? In classic ghost tales, spirits tend to manifest themselves visually, appearing dramatically before the bewildered witnesses. Often they are described as staring at the living; or even sometimes ignoring them altogether, performing some action they may regularly have performed in life. But ghosts don’t always make their presence obvious. Sometimes they manifest visually only rarely, or not at all. There can be more subtle signs that your house is haunted, however. Pets can often provide the first clue that there is a ghostly presence in your house. For some reason animals often seem to be more attuned to the “other side” than we humans are. If your normally friendly dog appears to be reacting to something you can’t see, growling at something in a particular part of the house, for example, it could be a sign that a ghost is nearby. Ghosts are often said to create a sense of coldness wherever they go. Many experienced ghost-hunters take thermometers with them so they can measure differences in temperature between one part of a building and another, giving them a first indication of the possible presence of a ghost. If a creepy coldness seems to occur in your house from time to time, particularly if it’s associated with one specific part of the house (for example a room where a now deceased person may once have spent much of their life), and the coldness seems to defy any heating equipment you have installed, it may not just be an insulation problem! Ghosts are often said to interfere with electrical equipment. Batteries depleting unusually quickly, for example, is something often experienced by dedicated ghost hunters. 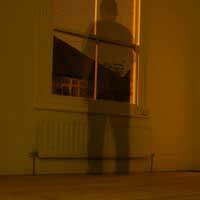 If this is something you experience in your home, it might be a sign of a ghost. Objects moving around on their own can be a sign of a haunted house. Some ghosts are mischievous, and some like to play around with objects they used regularly in life. Of course, if you actually see the object flying through the air you’ll know something is amiss! But even if you don’t directly see the object move, and only notice it in its new position after the fact, it may still be a pointer to a paranormal problem. Of course, you may have moved it yourself and forgotten all about it, or someone else in your family may have moved it. If it happens once of twice, it’s probably nothing to get excited about, but if the problem of misplaced objects is something you continually experience in your house, it might well be a sign of a haunting. If you do begin to suspect that your house is haunted, what should you do? The best thing is probably to talk it over with the neighbours, ask them about the history of the home, and whoever lived there before you did. Did anything unusual happen? Did a family tragedy occur? Was a crime committed? You may find out something that confirms your suspicions that the house is haunted. Perhaps something you learn will even allow you to make a judgement about who is doing the haunting. If you do move into a new home and experience strange happenings, you might well be living in a haunted house. Although considered on their own, each of the signs mentioned might well have an innocent explanation, taken together they may point to a paranormal infestation! Our teenage neighbor took his life and he was a close friend of my mother. Months after his suicide, my dog started barking in our garage. It was strange because he was just staring the wall and the most weird Ive experienced when my dog run out of a sudden to me and it like she was hurt, she was crying like something hit her or scared her.... today and these past few weeks i hear objects minimally moving in our house especially at night. I also feel weird sleeping in my own bedroom, i had nightmares their and cant stop staring in my door like somethings was watching me. This is really strange because why did he cross our house and bother us. My Husband and I Brought a 2 family recovery home, the first Month was amazing cause we finally we became Homeowners.. until the month after everything changed and things started happening to me ?? I started seeing and feeling things that I've never image anyone would want , I see shadows and while I sleep at anytime of the day doesn't matter what time it's Hurting me and once I Open my eyes I see it go up the wall what is going on.. I've hear footsteps, I've hear breathing don't know what else too do I'm losing my mind .. Someone Help and explain why Me ?? My bf and I came home from work it was around 1:00am we played a movie called The Passion of the Christ in our bedroom (not from the beginning but halfway) we both felt conected with God through out the movie or emotional as the movie rolled, well the movie ended. Credits were showing and my boyfriend shouts at our 3 year old son "stop, go to sleep", right after he shouted at our son the mirror hanging in our closet door across the room slammed, so hard it kept swinging for a little.. we were all in bed confused scared out of our minds thinking that's impossible for it to do by itself.. it had to be slammed by someone, or something, i think we shaken a spirit or something with that movie. The movie is so strong! Since then when I'm by myself I sleep with my TV on.. I need to have the place blessed. My family and I have moved a lot over the years. Every house we go to has something representing hauntings. A common one is children giggling. A few others are footsteps, voices, and cups of all varieties (sippy cups, mugs, glass cups, etc.) being upright between the living room and kitchen. My, normally calm, Great Dane acts weirdly during the day but is fine by night. All occurrences happen in the day aswell. It has always followed my father and I’m scared on what’s going on, and what the spirit wants. The first incident he had with this was when he was in the army quarters (or somethin like that) that were built over Indian barrial grounds. The cup thing happened to him in that moment for the first time. What course of action should my family take? My parents' bedroom is always so, so cold, a lot more than any part of the house, and it used to be my grandparents' room before they died (in a hospital, thankfully not in the house). The room is pretty dark being on the ground floor with big trees in front of the windows, though, so that could be the reason. My batter on my home has slowed down my heater has stopped in my room and my curtain had just fell and then my headphones fell of my table when nobody was in the room except me and I was well away from them ... help ?? Just switched rooms with my relative 2 days ago. Than just tonight me and my wife experienced our clock that was battery operated had fell. Not only that the time was moved by itself it said 4:00. When earlierthat day it was the right time. This happened I went back to sleep around 2 AM but than the nail from the clock fell out the wall. Dont know why. I just walked into my kitchen and somehow a roll of paper towels was standing in the middle oof the kitchen floor upright. my mother is 90 and not doing well. what am i supposed to make of the roll of Bounty paper towels unraveled and standing up straight in the middle of my kitchen? How did it get there? whats the message? I was dreaming of a black cloud over my head. I started praying and it went away.I then starting dreaming of 2 ladies blessing my house, one in each corner.I woke up, starting drinking my coffee and my husband asked me if I was dreaming. I told him it was more like a nightmare. He told me he heard 2 ladies talking and it was coming from our bedroom. He then realized that they didn't sound like me. I then told him about the 2 ladies blessing our home in a dream. Me and my step mom where sitting on the couch and then the credits came up so we turned it off for a minute because we thought we heard something..... the we heard footsteps comeing torwords the bookshelve we thought that was so odd but then we heard a burp right next to us! We ran to the other couch.. then the stuff animal owl was facing the opposite direction and then e look and it staring right at is?????? About 2 years ago I heard something whisper in my ear it said he is in the water the day after I found out my cousin had drowned ?? Recently I have heard like someone tapping on a guitar string but no guitars around and a strange rapid tapping in my bedroom plus the other week I was woken up by 3 knocks on my bedroom door even my dog reacted. Today I have heard a cup move on my slate coasters but no cups in the room like I am used to hearing general noises in my flat but these are different. Literacy, people, for God's sake: LITERACY! I am constantly seeing ghosts or spirits all around thé trailer park where i live they seem to be watching me i can hear them talking though i can never make out what exactly theyre saying ans i beleive they discuss me is that happen to anyone else? im getting wired stuff happening in my house, one night my brother was in his room playing on this xbox and all of a sudden it went cold then his posters fell off the wall he though he left the window open but he never, also ive spent 2 nights alone in the house I currently live in and I heard footsteps from upstairs so I stayed downstairs, now and again I still hear them when im alone, also one night I went to bed and I was having a good dream until I woke up I looked around but nothing was there so I went back to bed then I heard a little kid saying "lets come and play, do you want to play" I was trying to wake up but I couldn't also my body felt like someone or something was pinning me down to the bed... I don't know if theses are signs of anything but this keeps happening and I don't know what to do?? I lived in an old apartment house that was a former boarding house. I h, which is not unusual for me, butad my own "Ghostly" encounter there, which is not unusual for me, it was the experience of an old woman who lived across the hall from me. It started late one night, I heard her talking out in the hall.She acted like she was arguing with someone. Telling them that it was her apartment and she wasn't leaving. This happened quite often. At 1st I thought she was crazy. But then things esclated. I would find her moving her things out into the hall. Acting like sommeone was pushing her out. I asked her what was going on and she said that "These 2 guys won't let me alone. They don't want me living herr because they didn't want her to take their gold. It happened more frequently and I really started to worry about her. These apartments were unusually "remoldeled" my apartment had a door in the bathroom and a working window that opened out into the hall.this was strange because it was on the 3rd floor, their original function was unknown and served no real purpose and was kinda creepy when taking a bath. I always thought someone would walk in. Anyway, one night I hesrd her making noises so I thought I would observe her thru the window, so I barely mean I really had to squint. I saw her mumbling and pacing around moving things in and out of her room. She was just passing under the window, I held my breath, all of a sudden she whipped her head toward the window and I could swrar she looked me straight in the eye. I jumped back and crouched down freaked out. Then she started shaking and rattling my doorknob. kept saying " They're gonna kill me". "Help me", "they keep hitting me", .I hid in the dark real quiet so she wouldn't hesr me. The next eveng I found her going down the stairs naked. She said they made her leave and wouldn't even let her dress. I called for a welfare check on her and when they came, she related this story and yelled for me to "tell them its true" they think I'm crazy". I did but I was afraid they'd take me too. Other tenents on all 3 floors, as well as the other section of the building have had paranormal experiences. This was in Napa Ca. Which has a rich history teaming with ghostly activities. I have been seeing and hearing strange things in my house. Such as footsteps. I have seen a girl with long black hair looking at the ground. It was only for a moment though. I also accidentally took a picture in the dark with the flash on. I went to go delete when I saw a face. I'm am begging to get nervous. As I child I lived in an old victorian terraced house, I never used to believe in ghosts but many years later after we had moved my Mum told me that on many occasions she awoke in the middle of the night feeling very very cold and next to her side of the bed there would be a ghostly image of a lady in a white victorian nightdress.She said she never felt afraid and usually by the time she had woke my Dad up the figure had disappeared.The ghost never appeared at her bedside once we moved and therefore must have had some connection with the house. I live in a house opposite a 150-200 year old prison, the town I live in is buried on top of a grave yard and many people have died in the house that I live in. I have the biggest room in the house, my windows are broken so it is always cold in here although some night at about 1:00-2:00 am it suddenly gets very very warm and very uncomfortable. I need to know if anything paranormal is happening as I am getting quite worried.